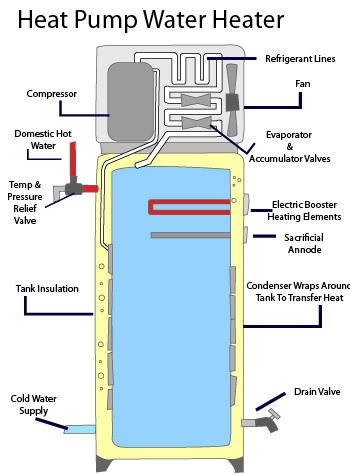 An electric water heater doesn't have an exhaust flue at the top and costs the most to run. 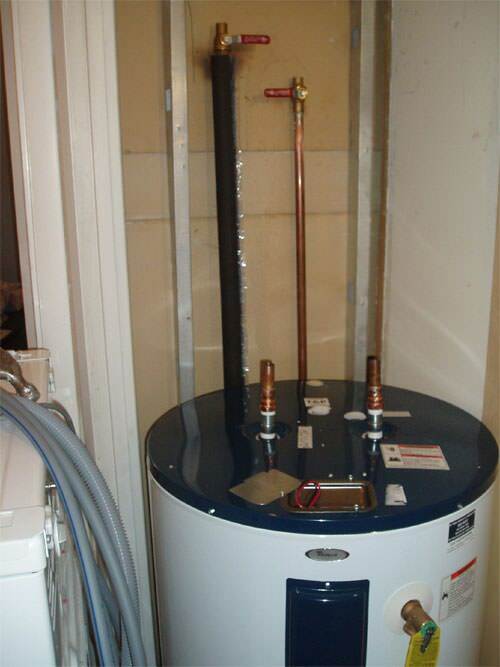 Did you know that your water heater can account for an astounding 15% of your home's total energy usage? More if you have teenagers! Contact the hot water heater installation, repair, and replacement experts at Alber Service Co. today to schedule your home energy audit to identify the problem areas in your home and to prepare all necessary solutions. We proudly offer water heater work in and around Cherry Hill, Marlton, Mount Laurel, Blackwood, Sewell, Woodbury, Voorhees, Atco, Berlin, Williamstown, and all neighboring areas! 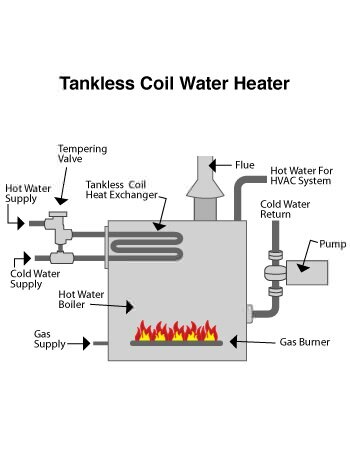 We are a home energy services company with the expertise to solve water heating problems in New Jersey. Call or contact us online for a Free Water Heating Estimate and Inspection to discover whether repairing or replacing your water heater makes the most sense. 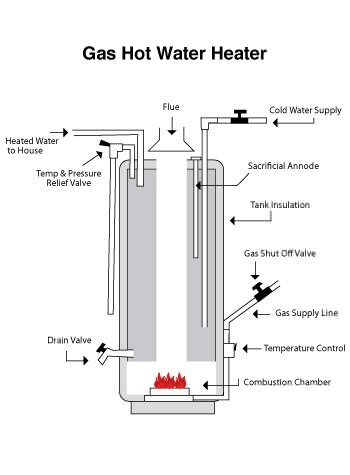 Contact Us For A FREE Water Heater Estimate! 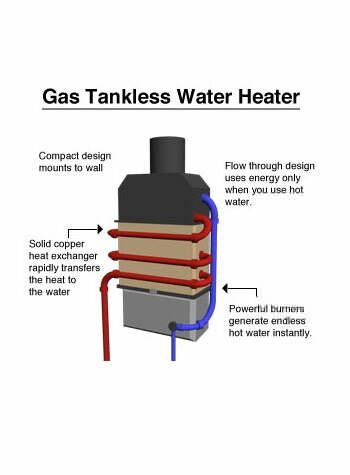 Get Your Water Heater Upgrade Today! Call or contact us online to schedule a free home inspection and water heater estimate. We also offer a comprehensive home energy audit. If you are interested in saving money on water heating by installing a tankless water heater, talk with Alber Service Co. about this upgrade. When the antifreeze in the collector reaches a certain temperature, it is pumped through the heat exchanger to heat the water in the tank. When solar heat is limited or unavailable, electric heating elements take over. 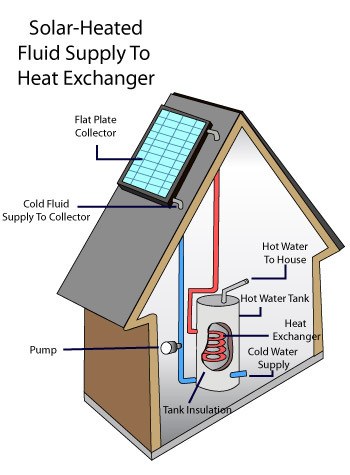 A solar water heating system is a fairly expensive upgrade, but it can be worthwhile if you have good solar exposure and if you plan to stay in your house for the next 8-10 years or so. The sun's energy is free, and Alber Service Co. can install a solar thermal system that performs well and requires very little maintenance.